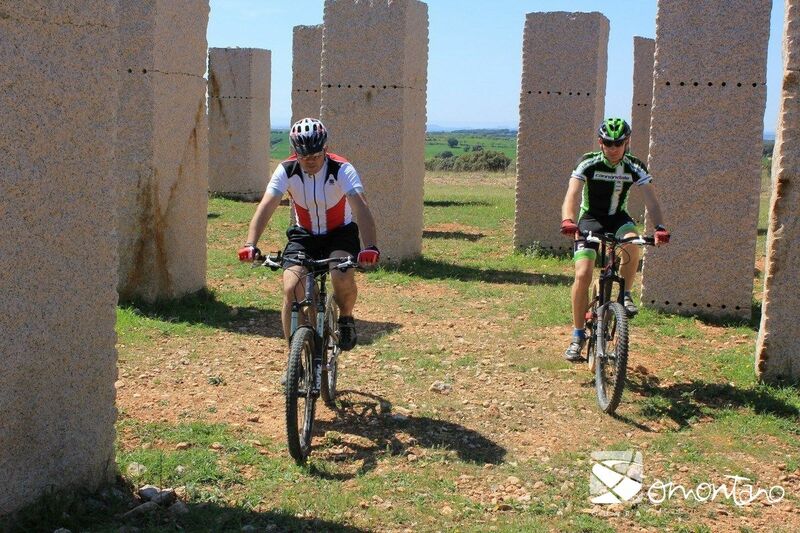 The Monument to the 20th Century, a work by Ulrich Rückriem, is located on the road from Abiego to Peraltilla at the 8km mark, in a field bordered by an old livestock track. It presents a collection of open-air contemporary art without the usual restraints of a museum. This is the objective of the Art and Nature programme to which the monument belongs. 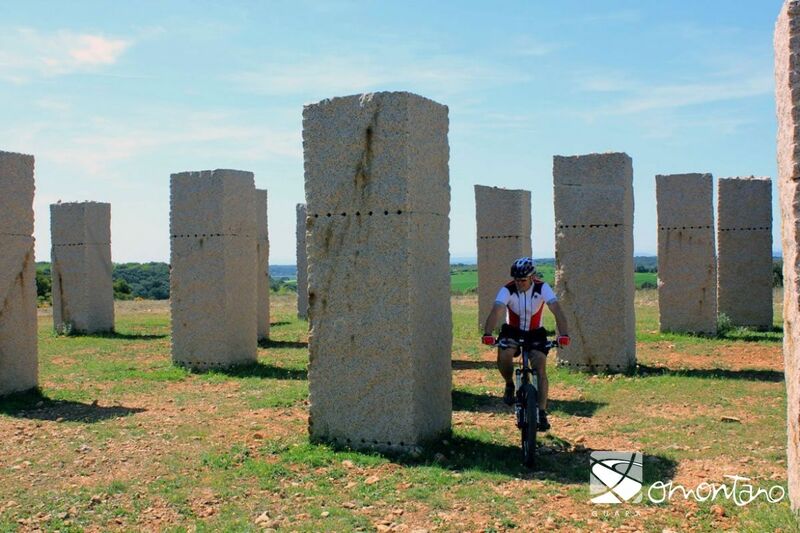 Sponsored by the cultural department of the Huesca Provincial Council, the Aragon Government and La Caixa bank, the programme includes work by a number of different artists from the international art scene, who have created their sculptures in the setting of the Aragonese landscape. The backdrop to the work is mountains, woodland and a small village and it aims to create a connection and integration with its surroundings. The sculpture is not just a series of monoliths, but the combination of art with a landscape changed by human construction; Nature and Art. Ulrich Rückriem was self taught and completed his apprenticeship as a stonemason in the restoration workshop of the Cologne cathedral. It was here that he fell in love with stone and large scale work. Later, he worked as a professor in the Academies of Fine Art of Hamburg, Düsseldorf and Frankfurt. In the vanguard of the sixties, he became a fan of geometric facture, the force of expression of the material he used and the simplicity of its treatment. 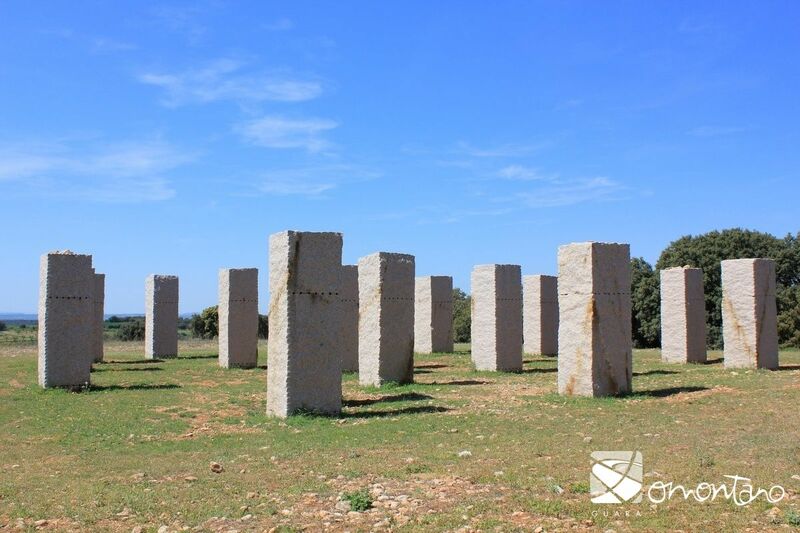 In the seventies he became interested in Land Art, an artistic trend whose creations used the landscape as its support, background or primary material. 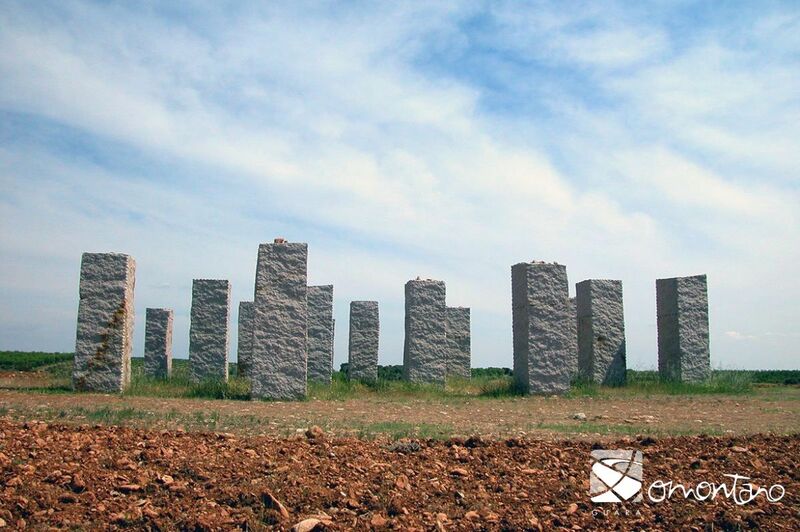 The fundamental principal of Land Art is to change the earth’s surface in an artistic manner. Because of this, many of these works of art have monumental proportions and the majority are located in remote places, far from view from the general spectator; on the banks of a lake, in a steep, rocky environment, on an island or, in this case, in an open field at the foot of a mountain. 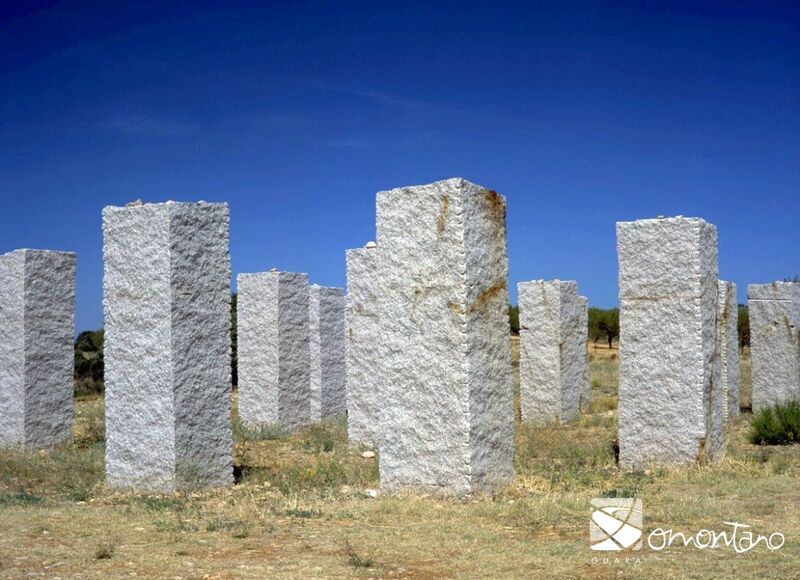 The stones are in their natural state and have been cut according to specific dimension. (3.5 x 1 x1 metres) They have then been split horizontally into three pieces and placed back together in their original position. The stones are sunk in the earth as far as the first horizontal fissure. Basically, the technique consists of extracting a block of stone, dividing it and putting it back together in order to claim it as the artist’s own. This is one of the constants of Rückriem’s work; it is always possible to see what has done with the stone. Many large scale sculptures dominate the viewer and make them feel small. However the work of Rückriem provides information of how it was made and being able to understand the process of creation has a very calming effect. 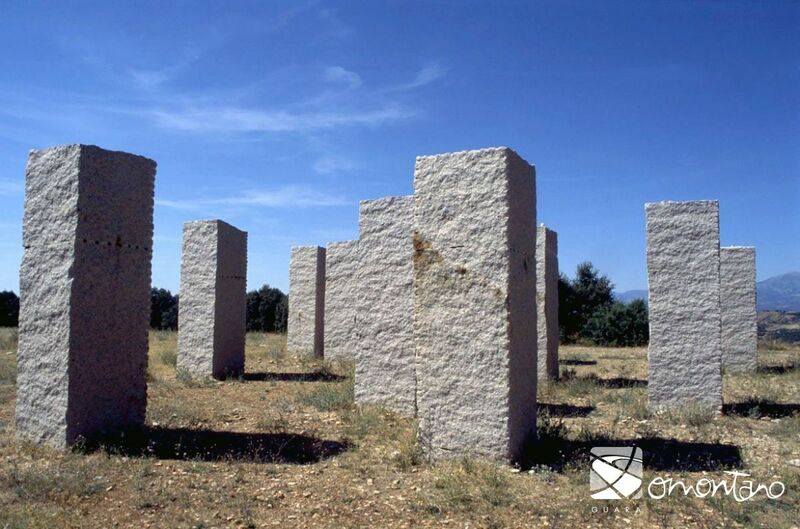 The 20 vertical stones make up a geometric composition. From the distance, it looks like a solid stone wall because of the way the stones are placed. However, close up it becomes apparent that it is a penetrable, open and welcoming space. 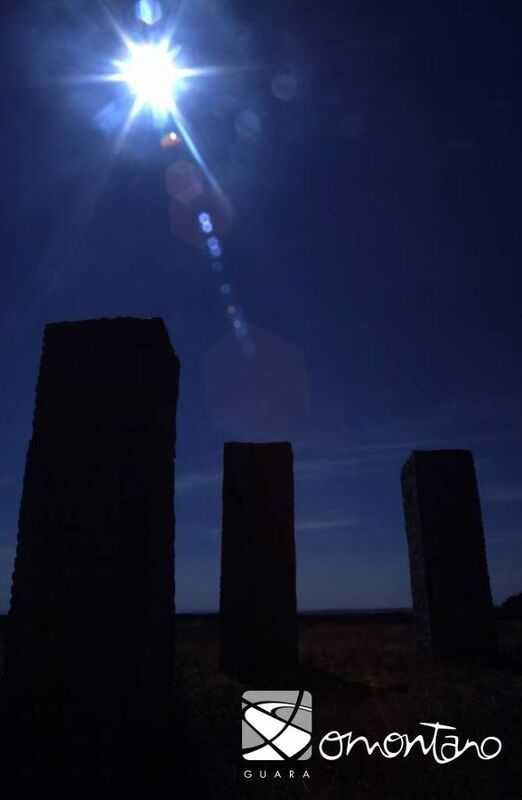 Its mysterious geometric form is reminiscent of holy sites from a distant past, such as monoliths or pre-historic menhirs, which were placed under open skies and emanated mystery.